In the bookforeword, George Attla writes, “Always give your best to all that you do. 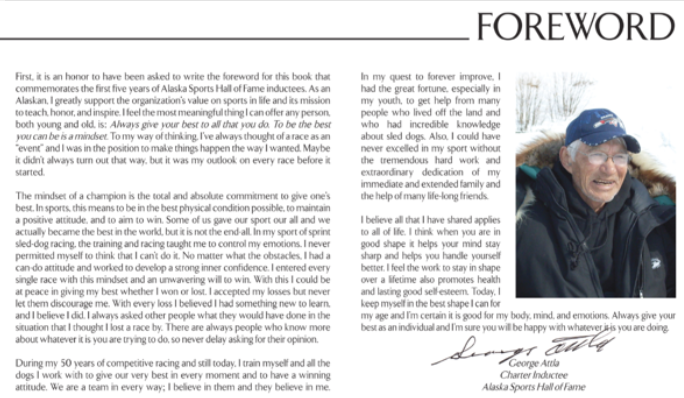 To be the best you can be is a mind-set.” The legendary sprint sled dog racer, who is an icon of calculated discipline, highly developed intuition, and toughness, shares what he knows about being a winner in sports and in life. Highlights as an athlete include ten-time Fur Rondy Champion, eight-time North American Open Champion, and winner of nine International Sled Dog Association Unlimited Class medals. George Attla’s battle with tuberculosis, which resulted in a fused right kneecap, meant he couldn’t run beside his sled to keep up with his competitors, so he out-trained them and out-thought them. 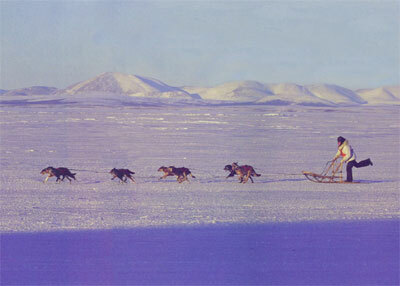 His indomitable determination to win meant that the man known as “The Huslia Hustler,” named for the Athabascan village that nurtured him and for his methods on the trail, became a legend in his own time. 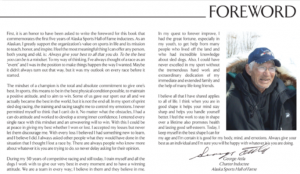 Read entire chapter at ASHOF Book Attla Story (PDF 12.7 MB). 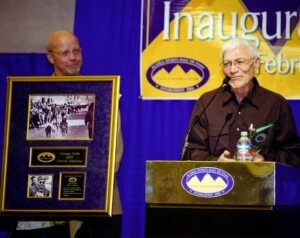 George was inducted into the Alaska Sports Hall of Fame in 2007. In its MISSION to teach and Inspire Youth: To promote a healthy youth population by providing activities that will inspire children to strive for the success in their own lives.